The H-Chorus class canal boats. The saloon has ample seating and a selection of dining table options to meet the needs of the number of guests on board. There is under-seating storage, and a storage cupboard with a television above. There is a radio/ CD player and Flat screen digital TV with DVD player Good lighting levels are provided by the good-sized windows and supplemented by 12V lighting throughout. The seating area can be made up into a single or large double bed. 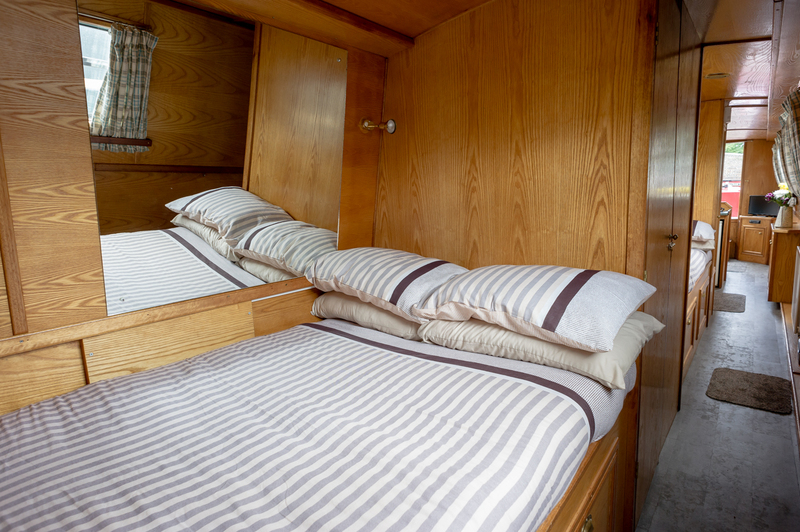 The beds will be made up with freshly laundered cotton bedding, duvets and ample pillows. A hand towel and bath towel will be provided for each guest. The kitchen is fully equipped and has a four burner gas hob, grill and full-sized oven. There is a microwave, good sized fridge, stainless steel sink and drainer as well as all the kitchen and dining equipment required to enable home from home preparation of meals. There is plenty of storage space and good sized work surfaces. Tea towels, dishcloths, scourers and general cleaning product are provided. The bathroom has a shower, wash basin and electric flush toilet and extractor fan. Soft toilet tissue is provided, as are hand and bath towels for all guests. The 2nd bathroom has an electric flush toilet and hand basin. Soap and hand towels are provided. 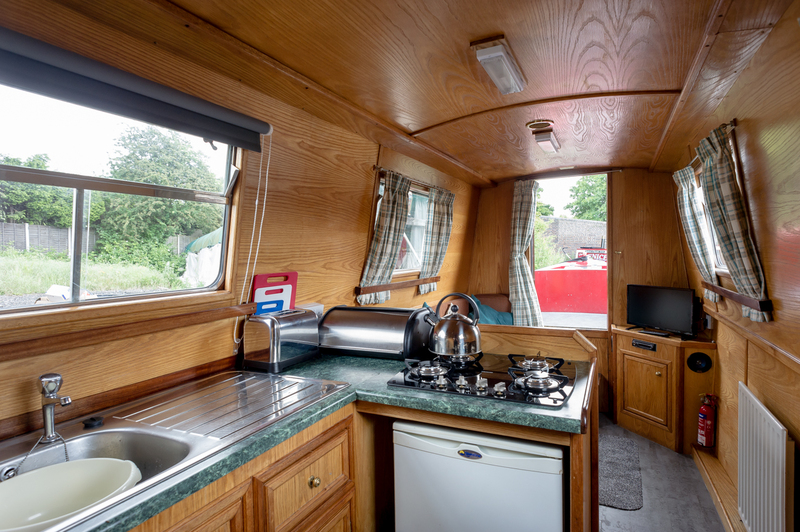 The boat is fitted with 12V lighting throughout with several 12V USB ports. There is 230V electricity provided by the 1.8KW inverter which will run the microwave, toaster and hairdryer as well as your own devices that require charging. Also provided are Helmsmanâ€™s waterproofs, Outdoor folding chairs, Umbrella, Selection of books and games, Maps and guidebooks. 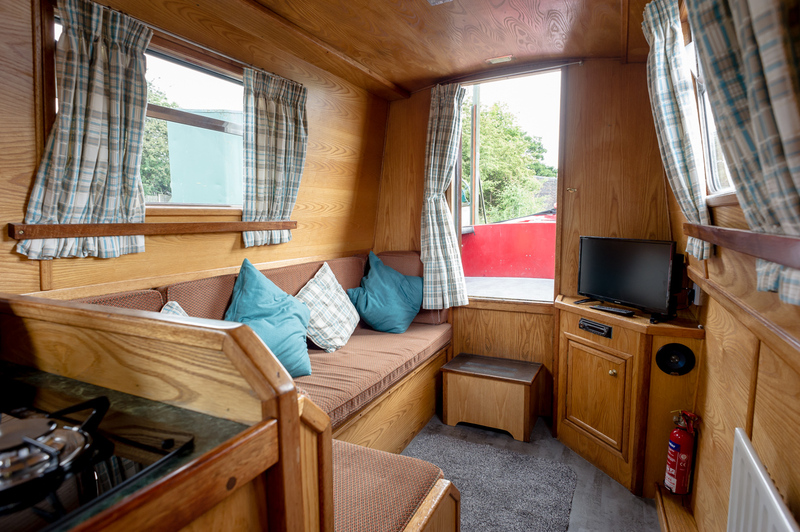 You will be met at the boat by one of the heart of England Narrowboats team members who will provide you with a comprehensive hand-over of the boat including as much tuition as required. Our base is located adjacent to 2 canal locks and full guidance through these locks will be offered.